Emerging from relative obscurity, Dutch producer ‘Lenzman’ is fast making waves in the Drum & Bass world with his deep and soulful take on this underground genre. Influenced by Hiphop, Soul, Jazz and life in general, Lenzman’s music combines the organic grooves of yesteryears with the energy and forward thinking attitude of Drum & Bass music. Since his first signings on the rapidly expanding Spearhead Records, Lenzman has feverishly been developing his sound. This led to his late 2008 / early 2009 releases: “Ever So Slightly” (on Integral), “Emeralds” (on Shogun Ltd) and his remix of Total Science classic “Soul Patrol” (on C. I.A.). 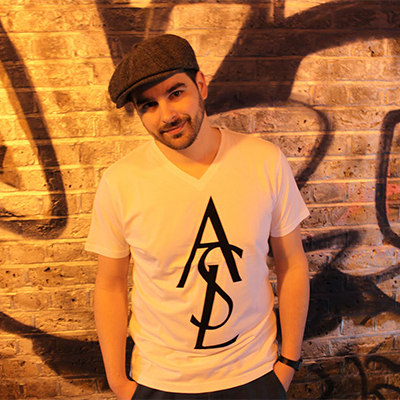 These tracks have received widespread support, in clubs – from the scene’s most influential deejays – to daytime radio in the UK, and cemented his name as one of the fastest rising stars in this Drum & Bass thing. With well-received gigs in Asia and throughout Europe, Lenzman’s deejaying has begun taking off as well. A deejay long before he took up production, it’s not surprising that his schedule has become, and will continue to become busier. Recently Lenzman has stepped things up a notch, signing new music to respected labels such as Metalheadz, Soul:r, Critical, 31 Records, Shogun Ltd, Integral, C.I.A. and Subtitles. As well as working more with talented vocalists such as Jo-s and Riya, Lenzman also has collaborations in the pipeline with Lynx, Spy, Random Movement and there are even whispers of an album project. The future is looking brighter and brighter for this rising star and we’re thrilled to have him doing remix honors for CODE.